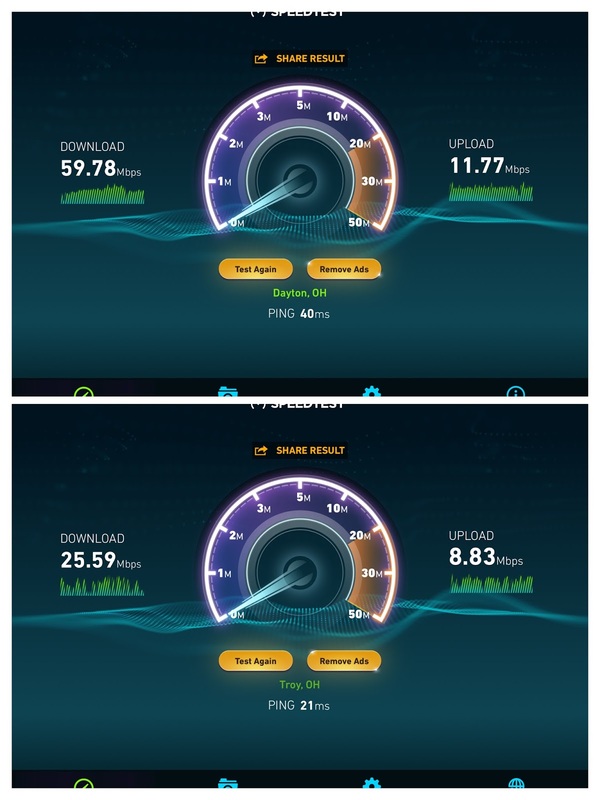 Last week our Internet provider, Spectrum, upgraded our service to 100 megabits per second (Mbps) for free (I love free), but for our wireless devices to take advantage of that required reconfiguring them from using their original 2.4 gigahertz (Ghz) setting to the faster 5.0 Ghz. All systems have a bottleneck, that portion that limits the performance of all the others, and that used to be the Internet connection, but now is the home WiFi network. 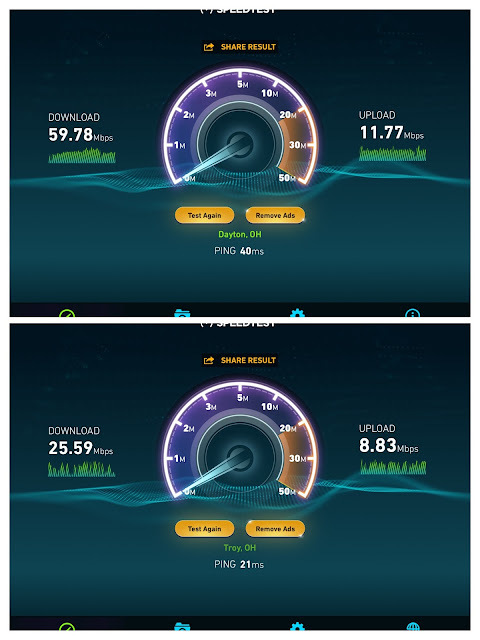 The first screenshot below shows my MacBook Air on 5 Ghz, the one below that on 2.4 Ghz, showing the improvement from about 25 Mbps to almost 60 Mbps. The biggest benefit will come from changing the Roku and other streaming players to 5 Ghz, helping avoid the pauses and low quality that comes from not enough throughput.